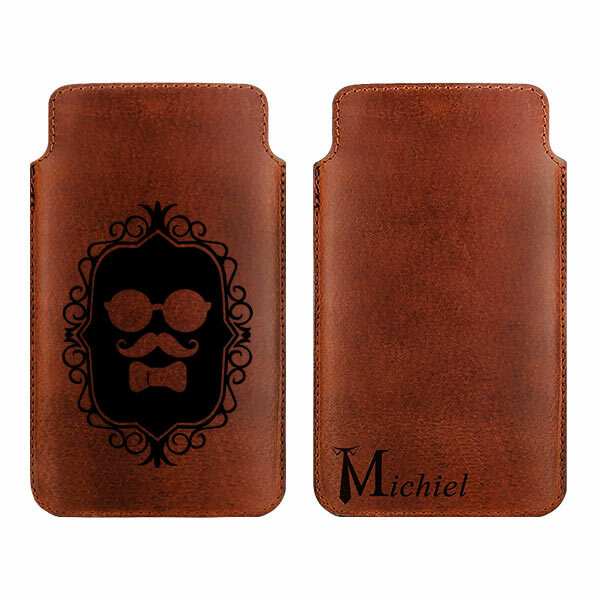 A unique leather case personalised by you. Customised with your own engraving. Use icons and text to make your own leather case. 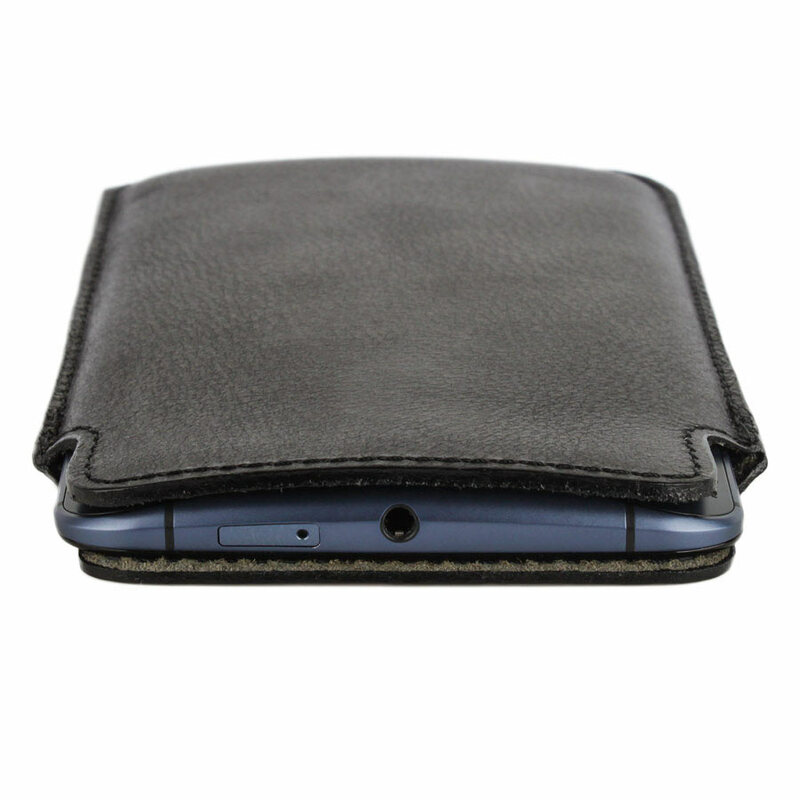 Are you looking for a high quality leather case with a personal touch? 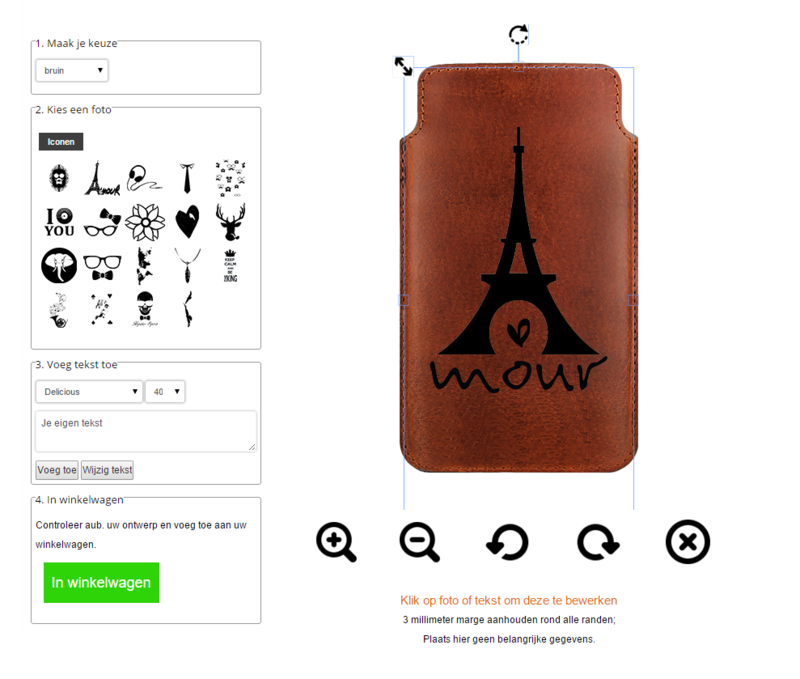 GoCustomized is one of the few places where you can design your own leather phone case. Unlike our other customisable products, the leather case can not be customised with your own photo. This is because the case is engraved using a high powered laser. In our customiser you will find a large selection of icons and prints you can use for your case. In addition, you will be able to add your own text to the design. There are some great fonts and colours to choose from. What are you waiting for? Engraving your case is easy! Using our design module, you will be able to create a unique leather sleeve. Stary be selecting which colour leather you would like to use. For this case we have a selection of black and brown. Secondly, decide which icons you would like to use. You can use more than one in your design. Lastly, add some personal text. There are some great fonts and colours you can choose from! 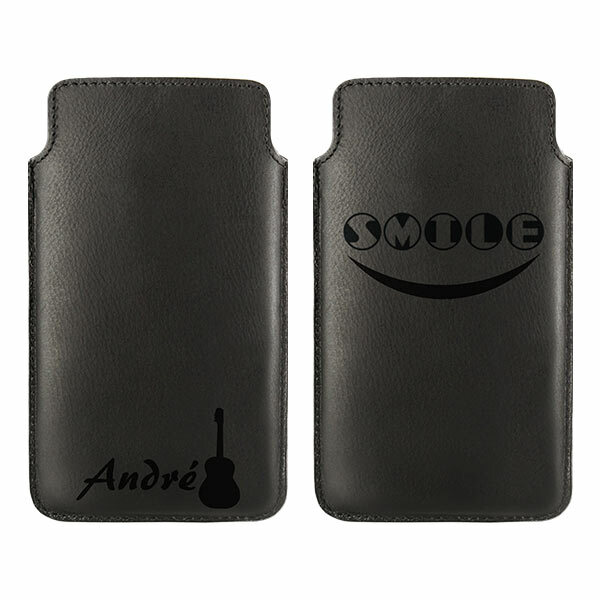 This case is suitable for: Alcatel One Touch Pop C5, Apple iPhone 4(s), 5(s), 5C, Samsung Galaxy Ace 4, Samsung Galaxy S3 Mini, Samsung Galaxy S4 mini, Samsung Galaxy Trend Lite, Samsung Galaxy A3.